Welcome to Amin Salvi Dental. How can we help? A straight smile has never been easier to enjoy. Clear plastic trays, known as aligners, can work the magic of braces without the shine of metal. Dental implants often give you the best opportunity to enjoy normal chewing and a full smile. We provide long-lasting choices, that are almost like growing new teeth. Damaged teeth might seem hopeless, but there's often still a solid foundation that leaves you with beautiful restoration options. With our convenient locations in Corona and Rancho Cucamonga we are your local family friendly dental office, able to manage everything from your children’s checkups and sealants to cosmetic dentistry and natural-looking implants! We treat patients from the surrounding communities of Riverside, Chino, Yorba Linda, Jurupa Valley, Moreno Valley, and more. Dr. Mitul Amin and Dr. Kavita Salvi have worked hard to provide you with the best care available in an atmosphere that is warm and inviting and instantly puts you at ease. We pride ourselves on our homey office, our compassionate and individualized treatment, and the quality and expertise that shows in our work. Dr. Mitul and Dr. Kavita specialize in restoring your smile with crowns and bridges. Natural porcelains & expert training blend for brilliant results. Invisalign brings stealth straightening to you with thin, invisible trays. Amin Salvi Dental's experience puts a stunning smile within easy reach. Dental implants bring the ultimate solution for missing teeth. Dr. Mitul and Dr. Kavita bring their expertise to direct your implant case at every stage. 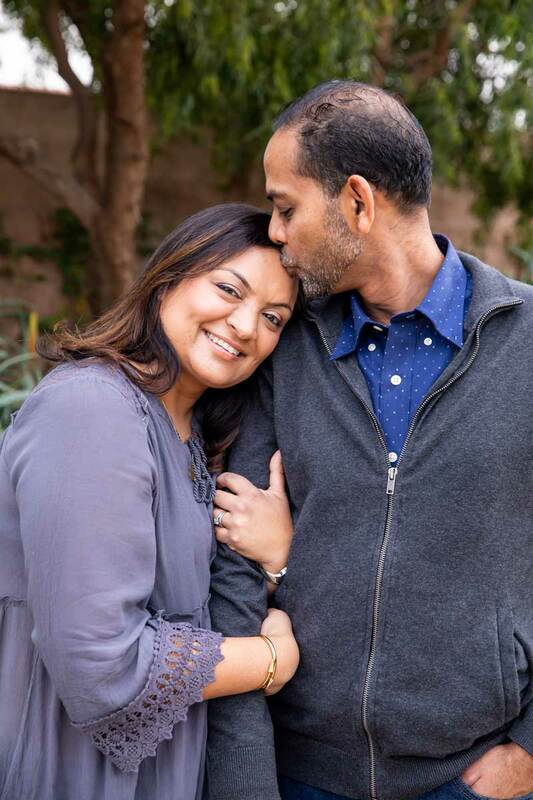 Dr. Mitul Amin and Dr. Kavita Salvi are both Southern California Natives, having grown in the Diamond Bar/Phillips Ranch area. They met in dental school and have been inseparable since! They both attended the University of Colorado, Denver School of Dental Medicine and worked in El Paso, Texas to gain a better perspective of dentistry and eventually moved back to Southern California, their destined home. Both Dr. Amin and Dr. Salvi strive to honor the legacies of their parents. Dr. Amin's parents both being dentists and Dr. Salvi's father also a dentist, they have been surrounded with dentistry throughout their lives and wake up everyday to honor that legacy. Dr. Amin is a Fellow of the International Dental Implant Association (FIDIA) and Dr. Salvi is increasing her knowledge to be an expert in cosmetic dentistry. They both love expanding their knowledge base so they can provide you, the patient, with the best treatment outcomes possible. They have 2 beautiful children, share a passion to travel and love to spend as much time as possible with their family! Read reviews from patients of Amin Salvi Dental & learn what people are saying about our doctors.